Education: Mr. Crowder holds a Juris Doctorate from the University of Alabama School of Law. Bar Admission: Mr. Crowder was admitted to practice law in Alabama in 1983. Professional Memberships: Mr. Crowder is a member of the Alabama State Bar Association and the American Bar Association. 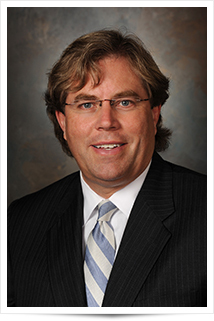 Mr. Crowder is also a member of the Defense Research Institute and the Alabama Defense Lawyers Association. Community Involvement: Mr. Crowder is a native of Birmingham, Alabama. While obtaining his undergraduate degree at the University of Alabama, Mr. Crowder was inducted into Omicron Delta Kappa, Mortar Board, Jasons and Anderson Society. He also has served on the Board of Directors of the West Alabama Chapter of American Red Cross. He is also an Alabama Law Foundation Fellow.